Baratov, who has been indicted by a US grand jury in connection with a massive hack of Yahoo information, just last month wrote on Facebook that, while a teen, he managed to make lemonade out of lemons. Baratov wrote he was suspended from high school for "threatening to kill my ex-friend as a joke." "At first, I felt really upset as I have never got into trouble before," he wrote. "But the time off allowed me to work on my online projects 24/7, and really move(d) my business to the next level." Baratov's social media showed a thrill seeker finding ways to entertain himself in the posh community of Ancaster, about an hour outside of Toronto. The Kazakh native describes being able to afford a BMW 7 Series while still in high school and to pay off the mortgage on his first house. "By the time my suspension was done, I changed my whole life plan!" wrote Baratov, now 22. It's unclear, though, the exact nature of Baratov's online work. Amedeo DiCarlo, a Toronto attorney, referred to his client as an "entrepreneur." He wouldn't elaborate on the kind of work Baratov did, or how he was able to afford his lavish lifestyle. But federal prosecutors in Northern California have laid out how they believe the Canadian made at least some of his money. They say he was a hacker who worked with three other people -- including two Russian intelligence officers -- to get names, email addresses and passwords from at least 500 million Yahoo accounts. That allegedly helped them to gain access to accounts from other Internet companies, such as Google. 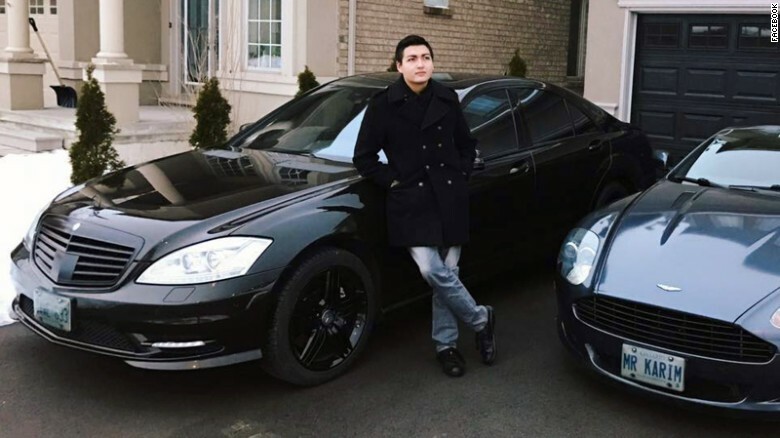 A few years before there was Karim Baratov, the guy who parked expensive cars in his driveway and posted sketches showing the very good life - complete with money bags, women and a swimming pool - there was Karim Baratov, the high school student who got into a little trouble, CNN reports.